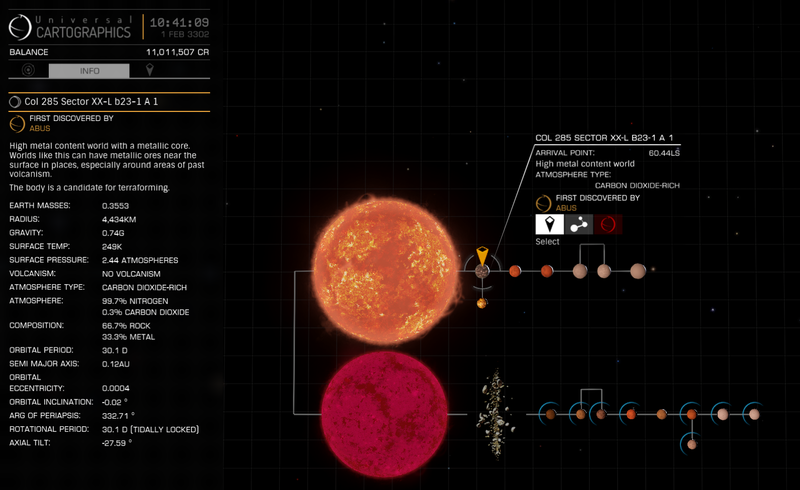 Elite Dangerous Exploration Diary: Pre-Preparation - getting started on a new project. Pre-Preparation - getting started on a new project. Getting started in ED can be difficult, as credits can be hard to come. As most people new to the game I watched a lot of YouTube videos and read the ED forums picking up hints and tips. As my credits grew, I eventually ploughed my hard earnt cash into a Cobra Mk III upgrading it till it was A rated. This helped a lot with running missions as well as farming RES sites for bounties. I did try various other various ships, but was sadly disappointed in either how they handled or effects which in my experience didn't add to the game. For example the Diamond Back Scout shook a lot when gaining/dropping speed, and although I don't usually get motion sickness, I just didn't like the effect. Also, after the Cobra, it's agility was surprisingly poor, which I guess accounts for the fact that they were easy enough to pop when dog fighting NPCs'. I eventually had enough cash to get an ASP Scout and after a little while had enough credits to put some decent gear on it. 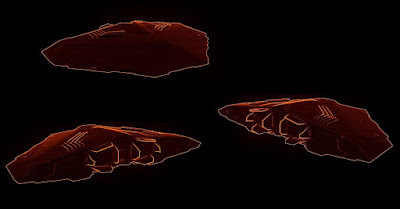 Once Horizons was released I was very impressed not just with the ship itself, but also the fact that it had enough slots for a decent cargo hold, exploration kit and a vehicle hangar for an SRV. Planet exploration is a fantastic addition to the game. 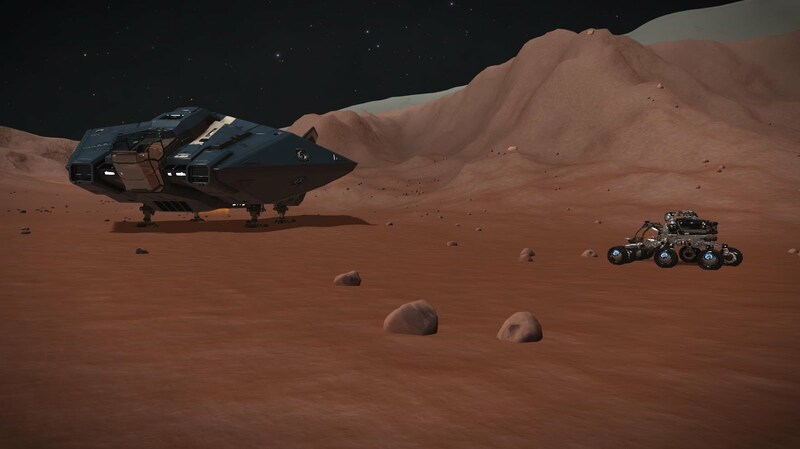 ASP Scout and SRV on planet rich metals. Whilst using both my Cobra and ASP, I did a lot of POI hunting. It is not a fantastic way to get credits, but does allow you to practise landing, popping back up to super-cruise and landing again in a new area of the planet. I also spent quite a bit of time collecting various synthesis materials, whilst making a quick and dirty spreadsheet documenting what I found where. Although the materials seem at first to be random, there is structure and after a while a pattern really does begin to form. I think that it was around this point that I started to think about exploration seriously and decided to take off in my Cobra and do a little travelling to see what I could find, as well as discovering what kind of cash I could create in the process. 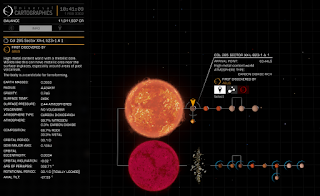 I did not want to travel too far outside the "bubble" but far enough to see if I could locate any planets that had not been discovered before, thus getting my name on the map. Surprisingly, I did! 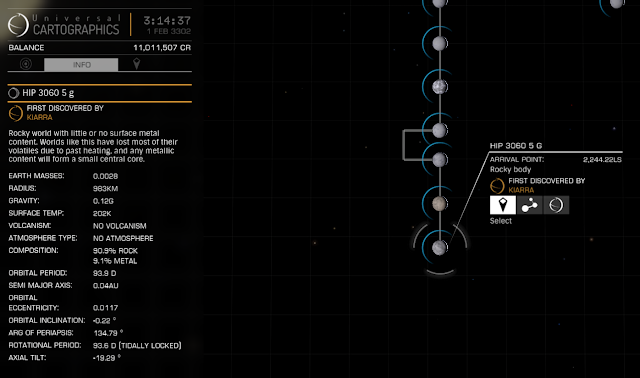 Sometimes if you are lucky with your exploration, you can get up to 65k credits for performing a detailed surface scan of a terraformable water world. In one system I managed to discover a terraformable high metal content world which was worth 45k. When this happens and you perform scans on the whole system, it can sometimes be worth over 100k in total. 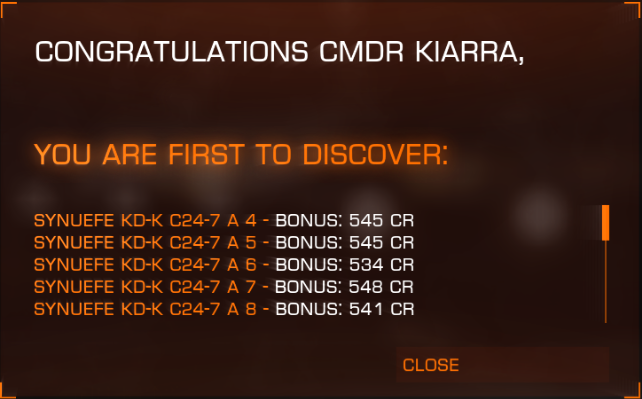 From this short exploration trip, the data sold was for over 400k. 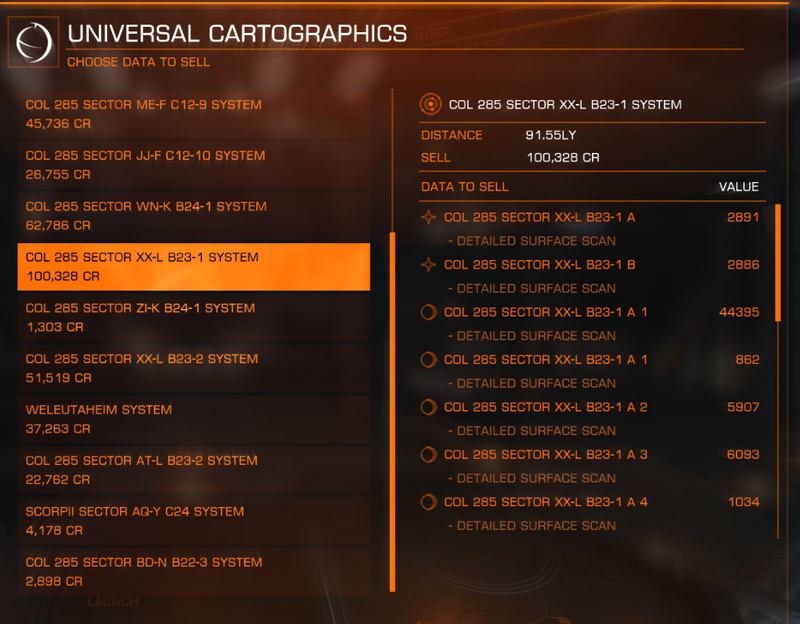 OK, it's not a huge amount, but when you are looking for materials for synthesis, you will need certain worlds for certain materials so performing a detailed surface scan, will give you access to the specific information that you need. 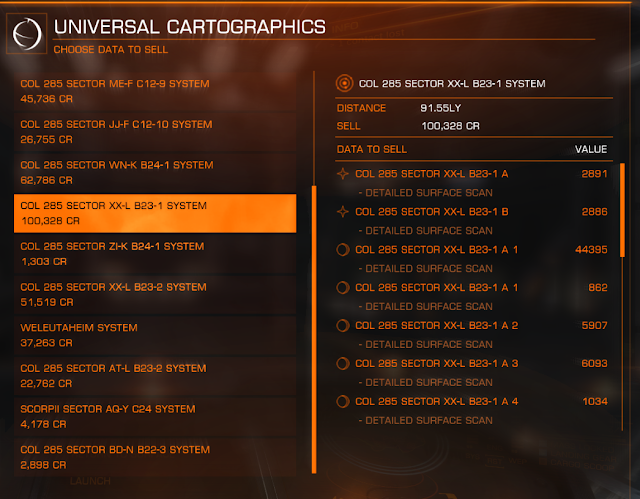 So there are more uses for exploration, than simply selling the data. Now I need to prepare for a real excursion!